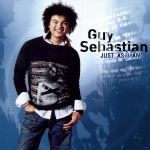 A surprise album by Guy Sebastian, who had taken Australian by storm during the idol competition, with his unique arrangements of songs, culminating in an awesome "When Doves Cry" by Prince, and "Climb Every Mountain", soul style. 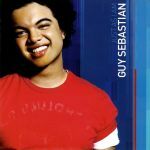 This album shows of his RnB and pop sides, however, the deeper parts of his 4 octave range are not entirely used in this album. What it does show is his extraordinary musicality, and perfect sense of rhythm and tone.<br><br>Guy is an astonishing artist on stage.